Happy Holidays to me....Now where's my treat? We hope everyone is continuing to enjoy the holidays. We are having a holiday photo contest on The Parrot Society of NW Ohio’s Facebook page. 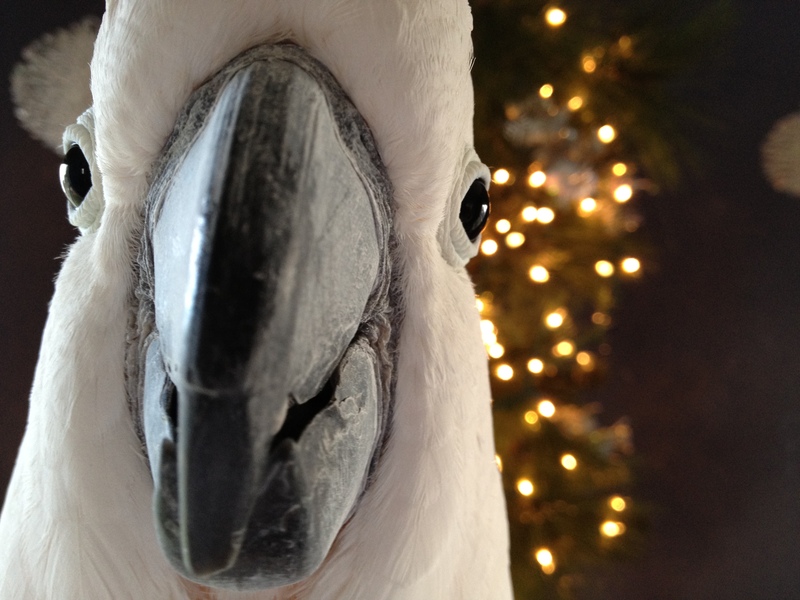 We are having a photo contest for the best, safe, holiday photo of your bird. The contest is open to all of our friends on our Facebook page. You have to click on the “Like” button on the above link in order to see the page. Once on there, upload your holiday photo for submission. They will be there for all of our Facebook members of The Parrot Society of NW Ohio to see. The judges will be the members of the Parrot Society of NW Ohio’s event committee and the deadline will be New Year’s Day. The winner will receive a toy of choice from Bird Toys by Lara Joseph. Enter as many times as you wish. Happy Holidays, start posting, and good luck! So many entries so far. This is going to be tough for the judges. If you haven’t entered your photo yet, go ahead and get it taken and enter it on The Parrot Society of NW Ohio’s blog before Sunday, January 1st. Happy Holidays and Happy New Year!